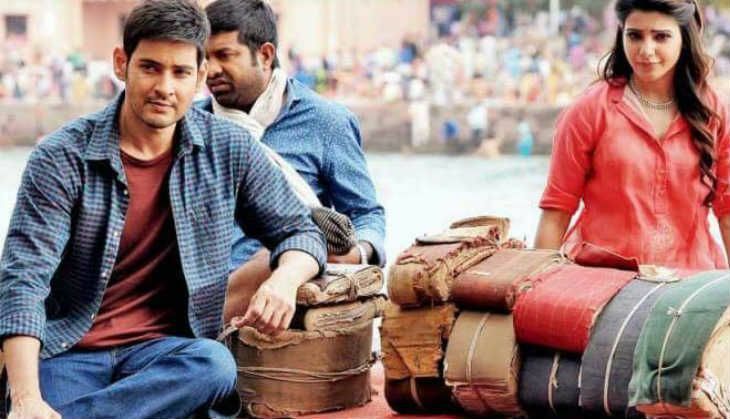 The trailer launch of Telugu superstar Mahesh Babu's Brahmotsavam is slated to be held on 7 May, but the film is already minting money for producer Prasad V Potluri. The worldwide rights for Brahmotsavam have been sold for a whopping Rs 72 crore. Brahmotsavam has managed to create quite the buzz in the trade circles. Here's a look at the area-wise break up of the pre-release business of the Mahesh Babu film. The Nizam rights alone have been sold to Abhishek Pictures for Rs 21 crore - one of the highest for a Telugu films in recent times. Pakala Murali has acquired the Ceeded rights for Rs 9 crore. The Uttarandra rights have been bought by SV Cinemas for Rs 5.60 crore. S Creations has bagged the Guntur and Krishna rights respectively for Rs 8 crore. The West Godavari rights have been acquired by Manikante for Rs 5 crore and LVR has bagged the East Godavari rights for Rs 4.20 crore. The Nellore rights went to Bhaskar Reddy for Rs 2.5 crore. The Karnataka rights of the Brahmotsavam have been sold for Rs 7 crore. The overseas rights of the film had been sold for Classic Entertainments for a record price of Rs 13 crore. Touted as a family entertainer, Brahmotsavam also stars Samantha Ruth Prabhu, Kajal Aggarwal, and Pranitha Subhash. The supporting cast includes veteran stars like Sathyaraj, Revathi and Jayasudha. The Sreekanth Addala directed film is scheduled to hit the screens on 20 May.